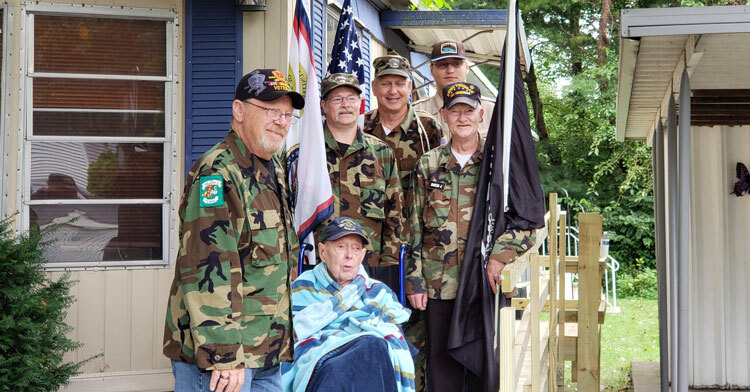 98-Yr-Old WWII Veteran Couldn’t Leave Home, Then Fellow Vets Show Up At Front Door. Christopher Conlee’s grandfather is a WWII veteran who recently got the sweetest gift from his community. 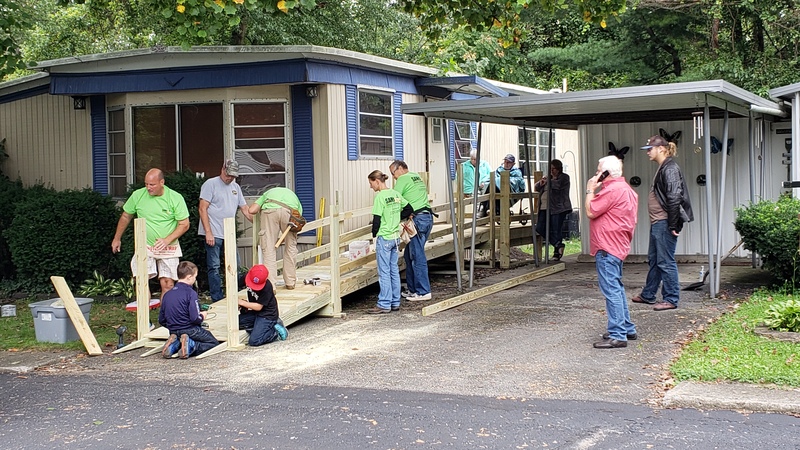 For his 98th birthday, his family and fellow veterans all pitched in to build a new wheelchair ramp outside his mobile home. “Grandpa is one of the last remaining WWII vets in our area,” wrote Christopher. 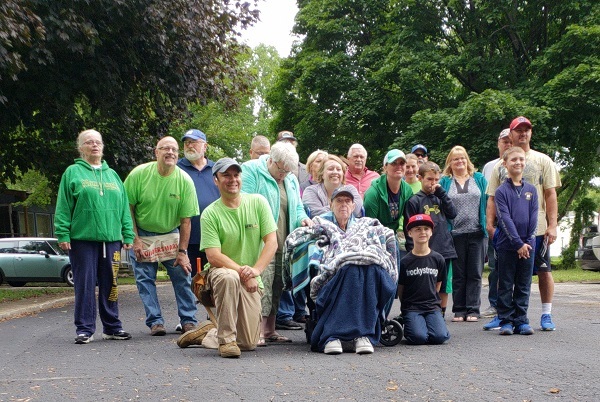 When Grandpa found himself housebound due to health problems, Christopher and his family members put out word in their community that they could use a little help. 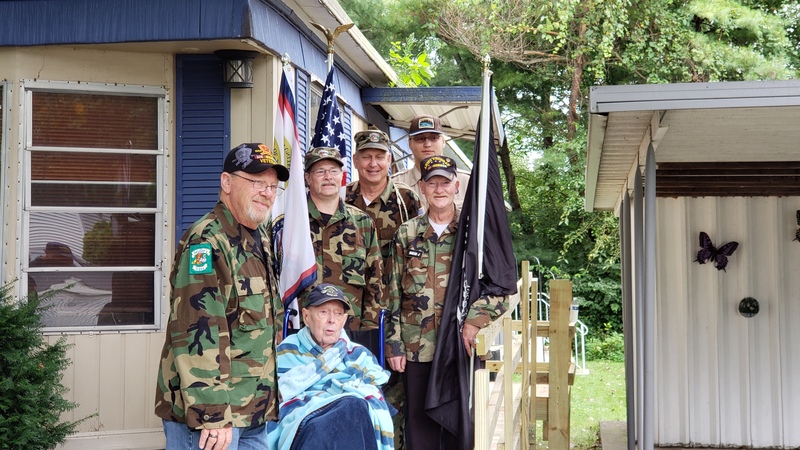 The following Saturday, they were pleased and surprised to see a group of veterans at Grandpa’s door. 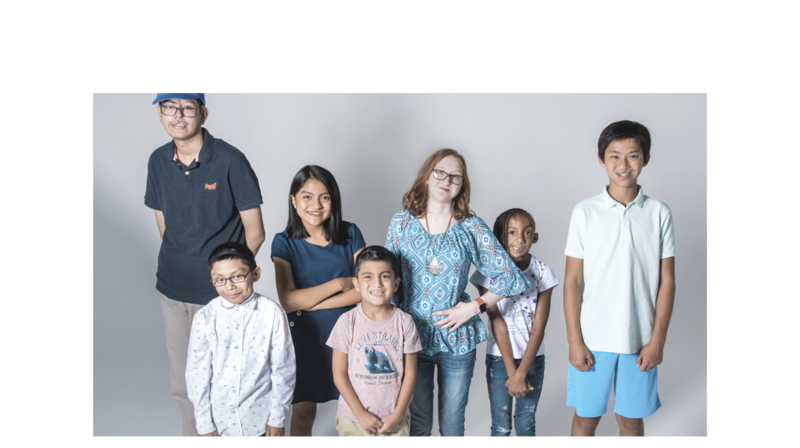 They were armed with hammers, nails, and wood — and ready to roll up their sleeves and get to work. 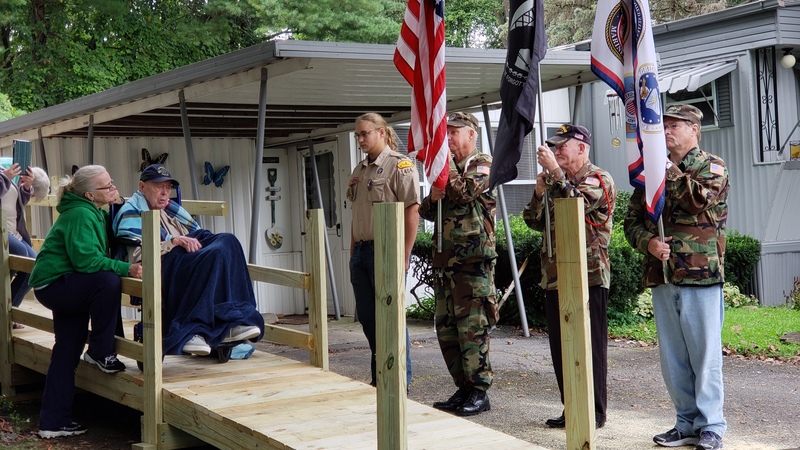 When the ramp was nearly completed, Grandpa took the inaugural trip down to the driveway, accompanied by the military regalia befitting of such an occasion. Among the workers was his great-grandson, Christopher’s son, who got into the spirit of the day by donning his Eagle Scout uniform. The group worked diligently throughout the day, finishing up the elaborate ramp by sundown. Although Grandpa’s health is declining, having the ability to get in and out of his own home by himself lifted his spirits immeasurably. The fact that the ramp was a gift from his fellow vets must have also felt incredible. Once you’re brothers in arms, you’re always brothers. When all was said and done, the group gathered to take photos of their handiwork, and to celebrate the kind of community that appreciates the sacrifices our veterans made so that we could be free. Now, they’ve essentially returned the favor by giving Grandpa a bit of the freedom he’d recently been lacking. Well done, folks! Taking care of our veterans, and the elderly in general, is what living a life of kindness is all about. Please share this story, and don’t forget to do what you can to thank a veteran today!